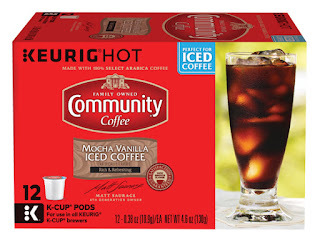 With the official start of summer right around the corner, anyone who loves coffee is switching over to ice coffee to stay cool and still get their caffeine fix! As you make the switch from hot to iced coffee, let me recommend brand new Mocha Vanilla Iced coffee from Community Coffee! It is a rich and refreshing blend, specially formulated to enjoy over ice and made with only 100% select Arabica coffee beans. It features a delicious blend of chocolate mocha and creamy French Vanilla specially made to enjoy over ice. You can even sweeten with cream for an indulgent iced coffee treat, made with 100% select Arabica beans. How To Enjoy: Brew desired amount of coffee, add sweeteners, creamers and flavors, pour over ice and enjoy! It is available in 12-count, single-serve K-Cup pods which makes it is super easy to make! Mocha Vanilla Iced coffee is definitely a cool and convenient way to sip coffee when the weather gets hot! And don't worry...you still like your coffee hot in the morning? Community Coffee has plenty of other coffee flavors that are made to drink hot! My favorite? Ground Dark Roast! So good! Make sure to head to the Community Coffee website and check out all their flavors of iced, single serve and ground coffees! 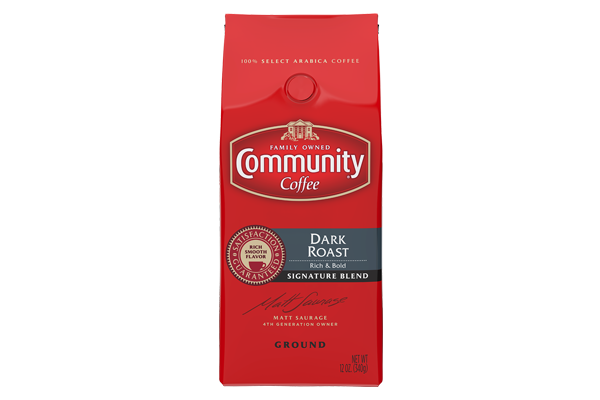 You can purchase all Community Coffee online or at a local retailer.